Individuals who visit the supaflu.com website are important to us. Because visitors to our website are important, we do not capture personal information about them without their permission. We endeavor to collect only the minimum amount of information needed to meet the purposes for which the website was created. 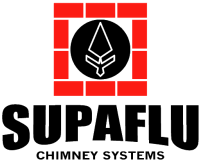 Various websites are linked through the supaflu.com website. These websites may have their own privacy statements posted on their sites, which take precedence over this policy. The supaflu.com Privacy Statement does not apply to websites that may be linked from supaflu.com. Visitors should read the privacy policies of individual sites and be cautious about providing personally identifiable information without a clear understanding of how the information will be used.